Iran has mounted new precision-guided warheads atop their most advanced and longest-range missiles, which are capable of reaching both Israel and American military bases in the Gulf, the semi-official Fars news agency reported Sunday. 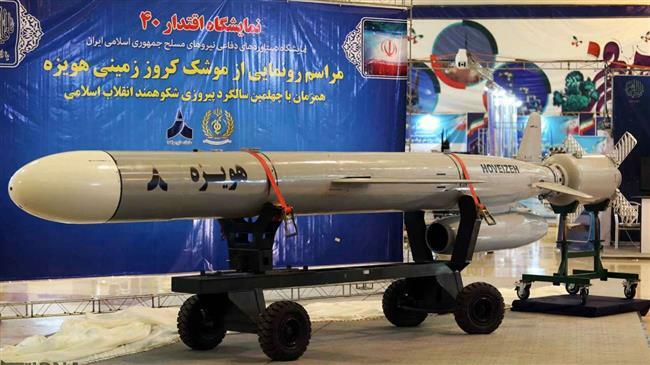 The unsourced report said that Iran’s Khoramshahr missile, which has a range of 2,000 kilometers (or 1,250 miles), have been upgraded with domestically-produced guided warheads. The warheads had previously been mounted on shorter-range missiles including the Emad, Qadr and Qiam. Iran unveiled its new generation of Khoramshahr ballistic missiles in a high-profile military parade in September 2017 in what was widely interpreted as an act of defiance by Tehran in the face of US condemnations of its ballistic missile program. The 2,000 kilometer range of the Khoramshahr classifies it as a medium-range missile, but makes it sufficient to hit Israel and US bases throughout the Middle East. Iran insists that all of its missiles are designed to carry conventional warheads only, and that it has limited their range to a maximum 2,000 kilometers. But Iranian commanders also say they possess the technology to go beyond that. Meanwhile, Iran on Saturday unveiled and tested a new long-range cruise missile as the country celebrated the 40th anniversary of the Islamic Revolution in 1979. Dubbed the Hoveizeh, after a province in southwest Iran, the missile is capable of heavily destroying ground targets, according to the Iranian defense minister. Although Tehran insists its missiles are defensive and meant to serve as deterrence against its enemies, Israel, Saudi Arabia and the United States accuse the Islamic Republic of behaving aggressively. Saturday’s exhibition in Tehran followed a warning by the deputy commander of Iran’s powerful Revolutionary Guards Corps warned Israel that a conflict with the Islamic Republic would “definitely lead to its elimination” and said that Tehran was pursuing a strategy to “eradicate the Zionist regime from the political geography of the world”.